Charles Mistele, right, shows Kirsten Johnson some of the dings and dents that Miss America IX accumulated during her racing days. “This boat was made for racing, not to look pretty,” said Mistele of the marks, most of which have been left without repair. 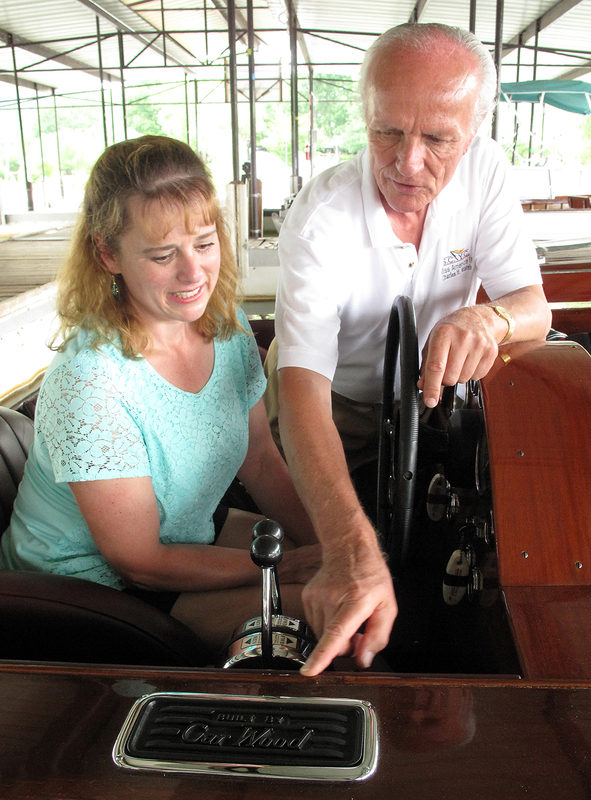 Johnson is a great-niece of Gar Wood, and is researching her family history, prompting a meeting with Mistele during the ACBS Blue Ridge Chapter’s 27th Lake Chatuge Rendezvous in Hiawassee, GA.